American Indians in Children's Literature (AICL): Are you planning to do a Land Acknowledgement? Are you planning to do a Land Acknowledgement? This post on Land Acknowledgements is long over-due. I promised to do it last year, but one thing after another meant I put it off. This morning (Saturday, March 9, 2019) I did a twitter thread about land acknowledgements, and am pasting that thread here. There's more to say, but I hope this is helpful. 1) More and more I am seeing people in the US talk about doing a Land Acknowledgement at their meeting, conference, or event. 2) If you're wondering what a Land Acknowledgement is, it is opening remarks that say the land that the event is on is (or was) the homeland of a specific Native Nation. It is meant to create awareness. 3) At first glance, cool, right? Progressive-minded, right? They have a lot of appeal, for sure. But... that is where they can go wrong. 4) I've seen scripts that people write that a presenter/speaker can use. The use of it is well-meaning, but we all know about good intentions, right? 5) If you do one because you think you should, but that's as far as you go with it in your own thinking or what you impart to others, you're just doing it as a box-checked sort of thing that is no good. 6) If you're not mindful of what you are doing, then, you are turning a land acknowledgement into a token. It becomes an empty gesture to "honor" Native people. It becomes this century's mascot. 7) Listen to Hayden King's 'I regret it' about his reflections on a land acknowledgement he helped draft at his university. He makes many excellent points. Listen and share it! He's Anishinaabe. 8) If you're going to do one, you gotta do some research! If, for example, you are in Oklahoma, you might want to acknowledge one of the 39 tribal nations there today, but you know (right?) that many of them are there because of the Indian Removal Act. 9) How might you incorporate that history into your acknowledgement? 10) Find out what the nation(s) you are naming in your acknowledgement are doing, today. Tell your audience about it. Tell them how they can support that nation's work. See? That means you have to do some research so your Land Acknowledgement is meaningful. 11) Annoying fact: lot of people think children's literature is not worthy of the same kind of study that English departments give to bks for the adult market. But you know that people want their kids to read! 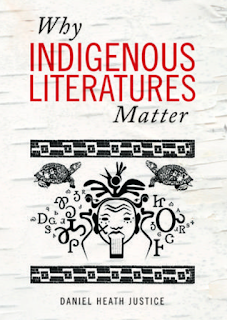 In your Land Acknowledgement, recommend a book by a Native writer! 12) I've got links to lists of books by Native writers, here: Best Books I'd love to see ppl who do Land Acknowledgements in California say "hey everybody, ISLAND OF THE BLUE DOLPHINS is not a good book." Because it isn't. 13) And, I'd love to see people in California who are doing Land Acknowledgements say "hey everybody, let's look critically at the mission projects teachers are doing..." Start by reading Teaching the Truth about California Missions. 14) And, wouldn't it be terrific if Land Acknowledgements in California and Alaska and Georgia included "let's think about the impact the gold rush had on Indigenous people..."
15) In other words: do some work before doing a Land Acknowledgement. Make it meaningful. Give your audience a task. 16) And when you speak those words... don't do it in a somber tone. You're not in church! When you're teaching, you don't speak in a reverent, prayer like way. Don't do it for a Land Acknowledgement, either. 17) By this point in this thread, some of you are wondering what to do. How, you might wonder, can you 'get it right' (or close to right)? 18) Most of you have a lifetime of unlearning to do. Some of you have a family story about a Native ancestor and you think that puts you in a place to say this or that about an issue, but if you don't know more than just "Native ancestor", you're probably relying on stereotypes. 19) Some of you might have taken a DNA test and in your head and heart, think that validates your family story, but it doesn't. To understand why it doesn't, read Kim Tallbear's work. Start with her article, 'There is no DNA test to prove you're Native American' (link: https://www.newscientist.com/article/mg22129554-400-there-is-no-dna-test-to-prove-youre-native-american/) Get her book, too. And follow her on Twitter. 20) Most of the mainstream media does a terrible job reporting on Native issues. They can flail about as they've done for hundreds of years, or they can take a look at the resources developed by the Native American Journalists Association. 22) Do you listen to podcasts as you drive, walk, or exercise? Subscribe to All My Relations: (link: https://itunes.apple.com/us/podcast/all-my-relations-podcast/id1454424563?mt=2) And Media Indigena. 23) And give a listen to Henceforward. 24) One issue you could address in your land acknowledgement is mascots. There are far more than you may know. 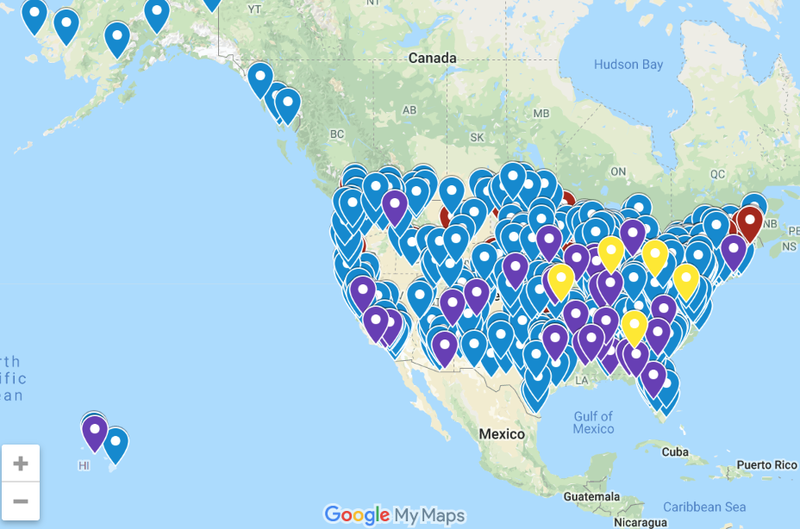 Zoom in on this interactive map. 25) And if you want to incorporate something about why mascots are unacceptable, start by reading Stephanie Fryberg's research. 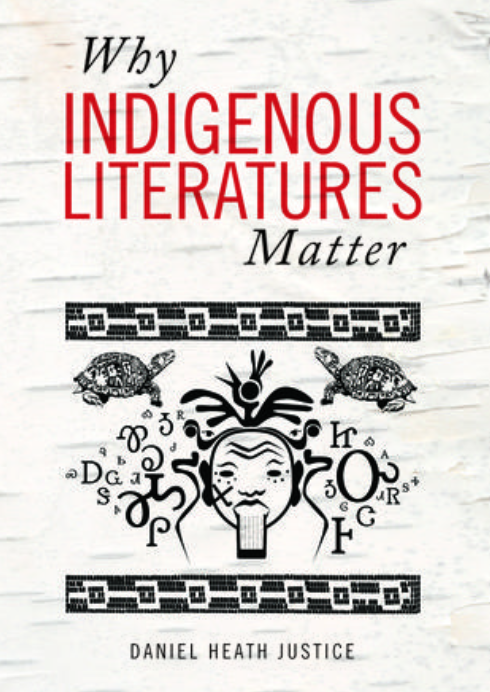 26) Get a copy of Daniel Heath Justice's WHY INDIGENOUS LITERATURES MATTER. It doesn't matter what YOU teach... we all read, buy, and share books... Daniel's book will help you a lot. 28) This is a great resource for doing land acknowledgements. Make sure you read the articles there, and take a look at the teacher's guide, too! Here's the link that will take you right to the map. Read the disclaimer that pops up when you go to the map. In Aotearoa New Zealand land acknowledgements are universal, and are in Māori. In Australia land acknowledgements are in English and are partisan: progressives give them, while reactionaries don't. This is so incredibly helpful! Thank you! We inherited a Land Acknowledgment in our organization and while we've felt it was important, it has absolutely been a token. I really appreciate both having it pointed out how the good intentions are lacking and the concrete suggestions you've made for how to help breathe life into it and make it more meaningful. Now seeing how much richer it can be, I want to make it better.